Church groups from across New England have spent months booking hotel rooms and transportation for a once in a lifetime trip to see Pope Francis in New York and Philadelphia. But parishioners from at least three local churches say they got scammed by a bus company that allegedly took their money and then closed up shop. Cathedral of the Holy Cross paid North Central Coach and Cab out of Leominster, Massachusetts a deposit of $1225 to transport 55 people, while Immaculate Conception in Revere and St. Thomas Aquinas in Jamaica Plain paid them a $1900 deposit to transport about 160 people to Philly. Rosario Rizzo of Immaculate Conception Revere said, "I gave them a check in early May, in late July I realized that we needed another bus, so I tried to contact them to increase the number of buses from two to three and when I did that there was no answer on the other line." This is what you get when you call North Central Coach and Cab. We found the company had one complaint lodged with the Massachusetts Attorney General's office, three Better Business Bureau complaints, and a D- rating by the BBB. 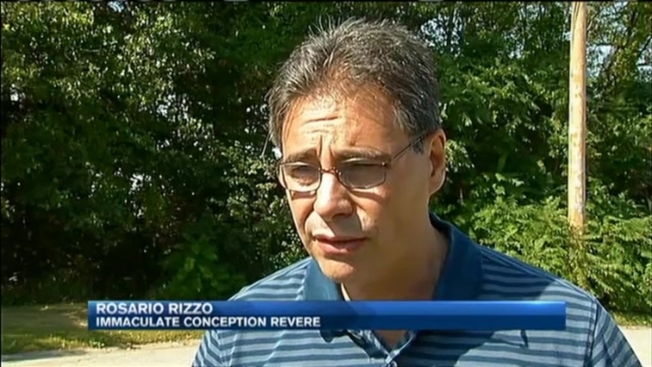 Rizzo said, "When I dug deeper I realized they had done this kind of thing before." Leudis Cuello of Cathedral of the Holy Cross said, "At some point she made it seem that she had found a bus for us through another company, and then researching I found out that this new company that she was mentioning had the same address as the company we previously had the contract with it was just a different name." We found at least three listings for bus companies with the same address or same owners online with similar complaints. Father Flor said, "It's difficult now to find a solution a few days before the trip where we can go and participate in the event, it's very sad that there are some people that are taking advantage of this great news which is the Holy Father visiting the United States." All three churches have been able to arrange for transportation with passenger vans - but their groups will be split up and there will be added costs with gas and parking. We tried several phone numbers for the owners and affiliates of North Central Coach and Cab and we were unable to reach anyone for comment.